The art of building a budget is understanding your income, fixed expenses and flexible expenses. Income is the money you have coming in from sources such as financial aid and family. Overestimate your expenses to give you some wiggle room in case of unexpected costs that may come up in the future. Underestimate your income to be on the safe side when it comes to income adjustments that may occur—if you earn more than you estimate, all the better. Fixed expenses are costs that generally don’t fluctuate, such as rent, tuition and a possible car payment. Flexible expenses such as groceries, utilities and entertainment costs are variable based on your spending habits. For example, if you eat out at restaurants nearly every day your flexible expenses will be much higher than someone who regularly cooks at home. Finally, if you have a suitable emergency fund and still have a surplus, you can consider investments. This is a page right out of the . As you can see, it’s more important than ever for students to understand their finances. To make sure that your expenses are kept under control, you should discriminate between wants and needs. Our needs include everything required to study effectively and live in good health. Our wants are things that might be enjoyable but aren’t absolutely necessary. It’s not always easy to be honest about wants versus needs, but the right perspective may make a huge difference in your financial well-being. If you really want something, consider if you will still be happy with “the thing” one month from now. Having the latest and greatest isn’t always worth breaking the bank! A 2018 survey of over 1,000 college students, sourced from Fulcrum by Lucid and sponsored by Ascent, showed that nearly half of students with student loans report they are shouldering more responsibility for college costs than they originally anticipated. The study also revealed some significant gaps in understanding when it came to concepts relative to college financing options. 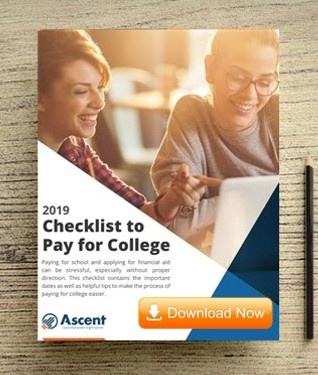 Ascent Student Loans is the only student loan provider that incorporates into the loan process as a way to help students understand the various opportunities they have for financial aid. There are many ways to save on school supplies such as textbooks. Utilizing your school library, buying used and using e-books are options that may significantly reduce your textbook expenses. Many courses offer online platforms such as McGraw-Hill Connect that have affordable access fees. 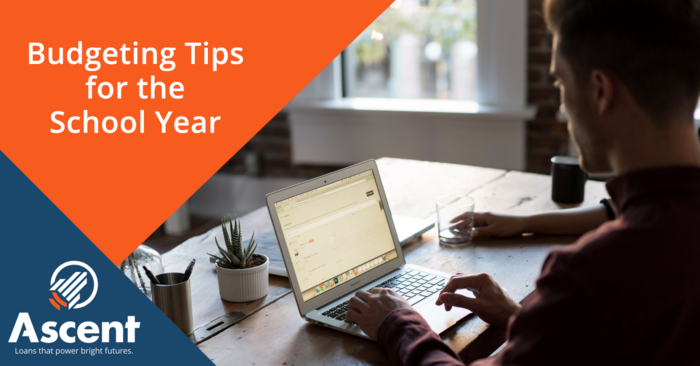 Utilize the resources that match your learning style and allow you to thrive. Buying your basic needs in bulk is another way to save on the cost of supplies. You know that you’ll need notebooks, paper and pencils, and these often cost less if you buy them in bulk. Shopping around and researching reviews may help you get a sense of what good deals look like. Check out Budgeting for College Students: Where to Start for some more tips on weighing your spending options and managing expenses. Having an emergency fund can save you from worries, and may save you from financial hardship as well. An emergency fund is typically used to protect you from unexpected expenses or from loss of income. When you have one, you may avoid the risk of running up credit card debt in the event that you have an uninvited cost of some kind. For more information on emergency funds, check out NerdWallet’s Emergency Fund Guide. It’s important that you understand and utilize the resources available to you as a student. College is an investment that can unlock many opportunities for your future, so it makes sense to know your options when it comes to college financing. Ascent is determined to help educate students about their financial future. Contact us or check out our student FAQs to learn more.